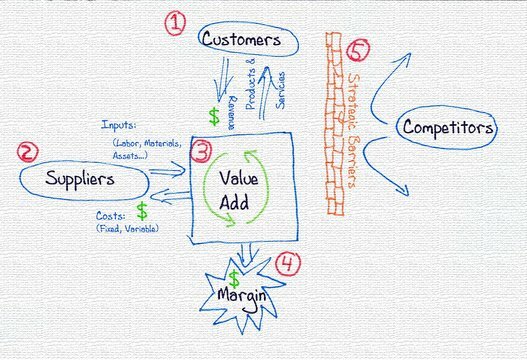 This class will explore an array of different types of business models, and their application. This class will be led by Steve Wanta the Executive Program Director at Whole Planet Foundation, and Founder of Center 61. I’m going to be honest, I’ve not exactly got the best of memories, so when my son (just got his degree last year) told me he was interested in starting his own business, and had the name and everything set up, I was supportive of him. The only problem was that I couldn’t for the life of me remember the name of his company. Eventually his business wasn’t going so well so his uncle (my brother) told me of a name branding agency called eatmywords. He consulted with them, and now, I don’t know what kind of magic the people at the name brand agency are doing, but his business name is so unique and memorable, meaning I can support him without having to ask for the name of his business every few days. Profitable business blueprint will provide prospect, arrangement not to mention total develop. This can be a effective system, rendering arrangement, place not to mention intention internet marketing company. Listed below are some vital pieces of profitable business blueprint that might help being the facial foundation for a growing industry. Is there any plant expert here? I wanted to know japanese lilac tree not blooming and what's the solution to it. If someone can tell me more about it, I'll be happy for sure about it. It's something I'm looking. Different types of the business are explored for the citizens of Austin. Yes, the visits of the https://www.cheapessayservice.net/ have been good and practical for the flow of the things in favor of the candidature of the man who is involved in the experience. Hey guys! I'm sorry that I can't make it—my mother has a surgery in Pittsburgh, and I will be out of town.